Generic Gleevec (Imatinib Mesylate tablets) is used for the treatment of newly diagnosed adult patients with Philadelphia chromosome positive chronic myeloid leukemia (CML) in chronic phase. Imatinib Mesylate tablets are also used for the treatment of patients with Philadelphia chromosome positive chronic myeloid leukemia (CML) in blast crisis, accelerated phase, or in chronic phase after failure of interferon-alpha therapy. Generic Gleevec is also used to treat pediatric patients with Ph+ chronic phase CML whose disease has recurred after stem cell transplant or who are resistant to interferon-alpha therapy. Imatinib Mesylate tablets are also used to treat patients with Kit (CD117) positive unresectable and/or metastatic malignant gastrointestinal stromal tumors (GIST). Imalek tablets are manufactured by Sun Pharmaceutical Industries Ltd. in the strengths of 100 mg and 400 mg.
We also have in stock Veenat (Imatinib Mesylate Tablets) which are used for the treatment of adult and paediatric patients with Ph+ CML (Philadelphia chromosome-positive chronic myeloid leukaemia) as well as to treat patients with Kit (CD117) positive unresectable and/or metastatic malignant GIST (gastrointestinal stromal tumours). 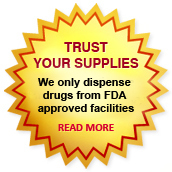 We supply original Imalek tablets manufactured by Sun Pharmaceutical Industries Ltd.. The active ingredient present in Imalek tablets is Imatinib Mesylate. Each Imalek tablet contains 100 mg or 400 mg of Imatinib Mesylate. Generic Gleevec is used to treat a type of blood cancer called Philadelphia chromosome positive chronic myeloid leukemia (CML). Imalek is also used to treat certain tumors of the stomach and digestive system. It works by interfering with the growth of some cancer cells. The prescribed dosage should be administered orally, with a meal along with large glass of water. The recommended dosage of Generic Gleevec (Imatinib Mesylate tablets) is 400 mg/day for adult patients in chronic phase CML and 600 mg/day for adult patients in accelerated phase or blast crisis. The recommended Generic Gleevec dosage is 260 mg/m2/day for children with Ph+ chronic phase CML recurrent after stem cell transplant or who are resistant to interferon-alpha therapy. The recommended dosage of Imatinib Mesylate tablets is 400 mg/day or 600 mg/day for adult patients with unresectable and/or metastatic, malignant GIST. In children, Imatinib Mesylate treatment can be given as a once-daily dose or alternatively the daily dose can be split into two - once in the morning and once in the evening. There is no experience with Generic Gleevec treatment in children under 3 years of age. Patients with mild and moderate hepatic impairment should start treatment at a dose of 400 mg/day. Patients with severe hepatic impairment should start treatment at a dose of 300 mg/day. Take Imatinib Mesylate tablets exactly as prescribed by your doctor. Do not take in larger or smaller amounts or for longer than recommended. Take this medicine with a large glass of water. This medicine should be taken with a meal. To be sure this medicine is not causing harmful effects; your blood may need to be tested often. Your liver function may also need to be tested. Visit your doctor regularly. Imatinib tablets (Imalek) are contraindicated in patients with a hypersensitivity to Imatinib Mesylate or any inactive ingredient present in Imalek tablets. Experience with ingestion of doses greater than 800 mg is limited. Rare cases of Generic Gleevec (Imatinib Mesylate) overdose have been reported. In the event of overdosage, the patient's condition should be observed and proper supportive treatment given. The most frequently reported Imatinib Mesylate side effects were edema, nausea, diarrhea, abdominal pain, muscle cramps, fatigue, and rash. Most side effects were of mild-to-moderate severity. Do not use Generic Gleevec if you are allergic to Imatinib Mesylate or any of its other ingredients. Do not give this medication to anyone younger than 18 years old without a doctor's advice. St. John's wort is an inducer of CYP3A4 activity and may increase metabolism and decrease Imatinib plasma concentrations. Imatinib Mesylate has been classified by the US FDA as Pregnancy Category D.
Imatinib Mesylate was teratogenic in rats when administered during organogenesis at doses equal to or greater than 100 mg/kg, approximately equal to the maximum clinical dose of 800 mg/day based on body surface area. Teratogenic effects included exencephaly or encephalocele, absent/reduced frontal and absence of parietal bones. Female rats administered doses equal to 45 mg/kg (approximately one-half the maximum human dose of 800 mg/day based on body surface area) also experienced significant post-implantation loss as shown by either early fetal resorption or stillbirths, nonviable pups and early pup mortality between postpartum Days 0 and 4. At doses higher than 100 mg/kg, total fetal loss was noted in all animals. Fetal loss was not observed at doses equal to 30 mg/kg (one-third the maximum human dose of 800 mg). It is not known at present whether imatinib mesylate or its metabolites are excreted in human milk. However, in lactating female rats administered 100 mg/kg, a dose approximately equal to the maximum clinical dose of 800 mg/day based on body surface area, Imatinib and its metabolites were extensively excreted in milk. Concentration in milk was approximately three-fold higher than in plasma. You can buy Generic Gleevec tablets online from Clear Sky Pharmacy at a cheap price. Imatinib Mesylate (Imalek) 100 mg and 400 mg pills, manufactured by Sun Pharmaceutical Industries Ltd., India are supplied in a blister strip of 10 tablets. The 100 mg tablets cost only $2.78 per unit when you place an order for 90 tablets.